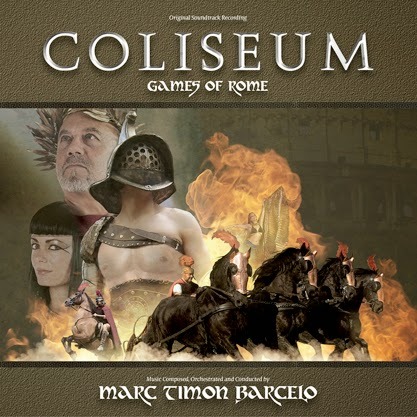 Produced by Drakonia, Coliseum is a spectacular show which recreates the deadly games of Ancient Rome in a live movie experience. The production follows the adventures of Marcus Octavius Atellus, the legatus of Rome who has been sentenced to fight as a gladiator in the Coliseum to recover his freedom; he must also survive the machinations of his nemesis Dominicianus, the evil brother of the Titus who plans on becoming the emperor. 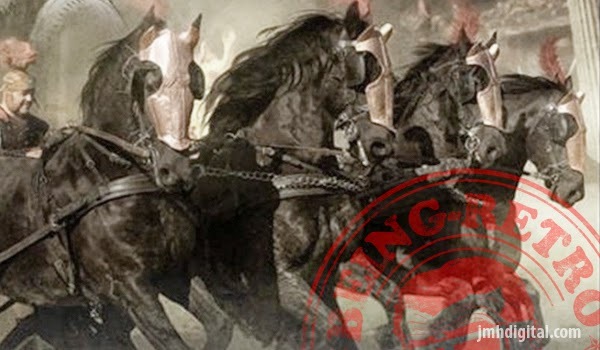 Featuring more than 100 actors, horses, exotic dancers, fire stunts and chariot races, the show features such set pieces as the Battle of Hispania, a "David and Goliath" duel with Porphyrion the Giant and a tender romantic subplot between Marcus and his one true love, Cleopatra. Born in Castelló d'Empúries in 1980, Spanish composer Marc Timón Barceló had shown great talent and creativity at an early age. He first graduated in journalism before getting his degree in composition from the prestigious ESMUC. His most notable film credits include horror movies like Witches (2010) and El arbol sin sombra (2013) or the animated children’s movie The Little Wizard (2013) which marked the composer’s CD soundtrack debut at MovieScore Media. “You can’t create 'Roman' music without Miklós Rózsa (Ben-Hur) or Alex North (Cleopatra),” explains the composer “so I studied their use of brass, how they orchestrated, how they recreated the sound of archaic days. Then I looked at our present with a focus on Hans Zimmer (Gladiator) – from him, I learned about orchestral textures, powerful ostinati and thunderous war percussion. I also ttied to mix the two fundamentally different ways of understanding film music in one soundtrack. While we tend to look at John Williams and Hans Zimmer as opposites, I always thought it would be possible to do a score with both styles co-existing: on one hand we’d have melodies and leitmotifs, on the other we’d have big percussion, textural atmosphere and loops." It's wonderful... you will love this, if you don't I will send someone to your house and make you listen to it again.